Aired on Marketplace, March 4, 2015. When a big storm or tornado devastates a community, the Federal Emergency Management Agency (FEMA) usually steps in to help state and local officials. 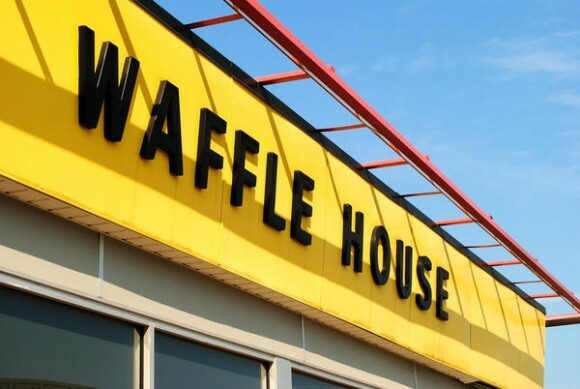 But in recent years, FEMA has been getting some help of its own from an unexpected source – one you see on almost every highway throughout the Southeast: Waffle House. This entry was posted on Thursday, September 3rd, 2015 at 1:11 am. It is filed under Radio. You can follow any responses to this entry through the RSS 2.0 feed.